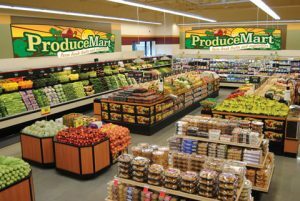 Besides stop signs, slow traffic, bars and people, one this we have a lot of in the San Jacinto Valley is Grocery Stores. I mean, why not? People have to eat, and someone has to sell the goods! You may join YoureOn, sign up, and you can tell us where you go to grocery shop, and comment as well. 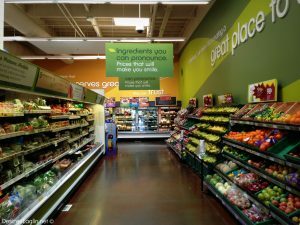 Most people stick to a habit of one grocery store due to a number of reasons. Proximity has a lot to do with this decision, sales, overall prices, organization of store shelves, and sometimes it’s as simple as ethnic behaviors, customs, such as languages. We tend to try out all of them, but we do have a preference, although I’m not going to tout this preference, because it’s as personal thing to me as yours probably is to you. However, I will make some observations. You can buy groceries at so many places. I’m listing them below, and if I missed any, it’s simply an accidental omission on my part. Write to us and enlighten us if so, if you’re not learning something daily you’re doing yourself a disservice. There are a lot of Stater Brothers, on State to the north, Stater’s to the south west at Florida, and Stater’s to the south east by where Ramona crosses Florida, and one on San Jacinto. The one to the north has always been a great store. For me the best time to go has always been early morning on Sunday’s. Everything is meticulously organized and clean, and it’s not too crowded. It’s one of the newer format larger stores. Stater’s to the south west now sits in what used to be the old Von’s grocery store, which is a larger store than their prior location across the street. The old store was typical old Stater’s fare, small, crowded, kind of ucky, like the one by Walmart on San Jacinto. The new store in the old Vons is spacious, nice, and closer in format to the North store than the icky south east store. I went to the old Von’s closing sale. Von’s fled, presumable because Walmart Grocery was coming, and they felt they could not compete. Stater’s is scrappy. It’s as if they said, “By God we can, and WILL compete.” The Von’s closing sale was weird, not much stuff, all dairy and meat items went quickly, so we went only out of curiosity. Want old canned fish products? Stellar, ’cause they had them! See, I think Von’s really left because they knew they could no longer gouge the clientele. I went there maybe twice ever, and the prices were about 15% higher that anywhere else. 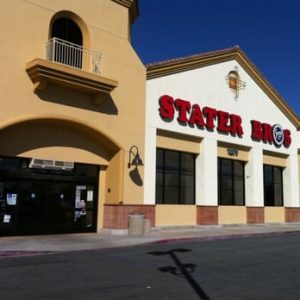 The only bad side to Stater’s taking over the old Von’s site is, it still feels oddly like a Von’s. I have only one gripe with Stater’s, and that is selection lacks at times. Where at other places you might find 3 brands of a particular item, you may find one and a Stater’s brand generic. We have kind of a lot of Walmart’s in the area, two Super Walmart’s, which have groceries, and one stand-alone Walmart grocery store. The stand-alone grocery is, ironically, in the formerly abandoned Albertson’s. They fled the area years ago. The economy tanked, and the mismanaged Albertson’s said, ’nuff of this town. I have shopped there only once since it became a Walmart Grocery, and did not like it. The aisles were too narrow, and the meandering walking dead were enough to make one take to drinking and bed rest. You know what I mean, the cart pushing ancient ones who walk the center of each aisle, slowly, and randomly change direction for no apparent reason. You’ll find these folks usually at Winco as well. Both Walmart Super Centers have a really good selection of just about everything you need, as the Walmart Grocery does, but at the super centers, good luck checking out. What, 75 checkout lanes and maybe 3 are open? Who here thinks this is okay? There is only one Winco in town, and that is enough. This is my “go to” when I do the shopping, that is, when I want what I want, in contrast to family shopping. 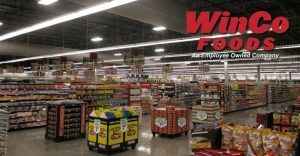 Winco touts that they are employee owned on their website. Let me be frank here: I do not care who owns it, I don’t give a rip. At all. What I care about is that I can get a great deal, find what I want, and check out quickly. Where I usually find Winco wanting is the checking out part, and today may have been my last trip there. I could not find what I needed, they had moved the item way across the store, to a place that made no sense. The prices were still okay, but getting around the store was a nightmare. the aforementioned “Walking Dead” were out in force. The camel back breaking straw was the long line to check out, and someone behind me was taken to the register opening up at the next lane. Apparently if you know someone who works there, lines are for shmucks. Planning a party? 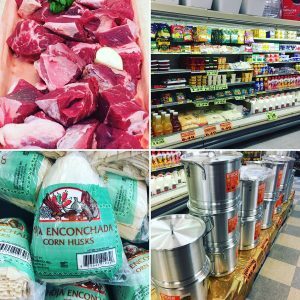 Running a food business poorly? Then Smart and Final is your place. What I mean by that is if you have a large family, you can buy in bulk. Planning a large party, bulk is the way to go. However, for business, say shopping for your ice cream truck, or your catering truck, great. But a standard restaurant can almost always get the same items for far less from a food distributor. Okay, you need a 5 pound block of cheddar just this one time, fine, but your food cost will suffer if you regularly buy your supplies there. I’ve been a Smart and Final customer for decades, but not often have I lived close to one. I remember back when they still sold cartons of cigarettes, for crying out loud. 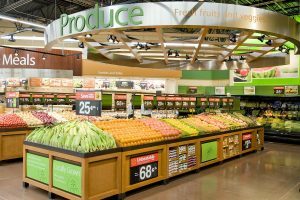 Over the years S&F has evolved into sort of blend of an anti-costco, an un-sams club, mixed with a traditional grocery store. I have definite mixed feelings on this. No membership fees, but the selection, while good, is not great. Their First Street store brand is good quality and well-priced. They have lots of cool stuff, as long as you’re happy buying lots of it. The rub is, again, at check out. Why do so many of these places seem to think that the stocking of the shelves is more important than taking the customer’s money? Use your labor to service the customer FIRST and ALWAYS! Here in town this used to be Henry’s, which was familiar to us because it was similar to Spouts. We shopped Sprouts when we lived in Claremont. A great store, but a little too pricey for my tastes. I have not been there since they relocated; a trip will be coming soon. I’ll report here if eventful. I’ve been in Cardena’s a couple times. It is well stocked, prices are okay, but it is simply too far away from me. Like the Stater’s on San Jacinto, it is of no use me. They do have a lot of business though, they’re doing something right! These folks have built up quite a chain of grocery stores, with 2 in San Jacinto, and 1 in Hemet. Yet for me it’s a bit too far to travel for what are in essence small stores with ethnic leanings. If your sign and products are aimed at a particular language or culture, expect to mostly get clientele of that culture and that language. I’m not a big fan of dual languages in business either. Many times driving through Roland Heights and Hacienda Heights, I see businesses with signage in various languages that I cannot read. Obviously they are excluding me from doing business with them, and I’m happy to oblige. The business of America is business. Still, they are a growing success story! Dead and gone, the Fresh and Easy grocery stores never had it easy. This was far and away my favorite up until the day they closed. I cried a little that day. They had fair prices, good quality products, although they leaned heavily on their own brands. Those brands were pretty danged good, though. When Fresh and Easy were acquired they raised prices significantly, so I shopped there less. What Fresh and Easy was is like a grocery store version of 7-11. In, out, quick, but pay a little more, all with superior customer service. You know, that building that Fresh and Easy was in off Esplanade would make a spectacular pizza joint. It would be a really good John’s Incredible Pizza location, or something like it.